Our version of Harry Potter’s Pumpkin Juice is the perfect drink for fall. It has a smooth pumpkin flavor with a little bit of spice and is super tasty! 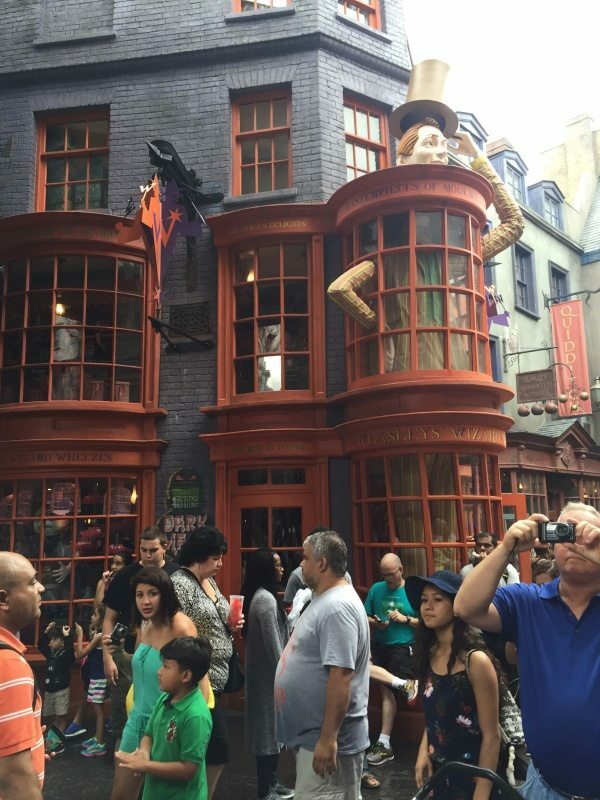 I tried Pumpkin Juice for the first time last week when we visited The Wizarding World of Harry Potter at Universal Studios in Orlando. I knew at first drink that this was something I had to recreate at home! Our Pumpkin Juice ended up tasting exactly like the one at the Wizarding World of Harry Potter! It has a smooth pumpkin flavor with a little bit of spice and is super tasty! I love it cold over ice, but I tried heating some up in a mug with my breakfast this morning and that was amazing too. This would make an awesome drink to have at fall and halloween parties, and would be great to go with your Thanksgiving dinner as well. I’m crazy about it, it is so good. For the recipe SCROLL DOWN to the bottom of the post. 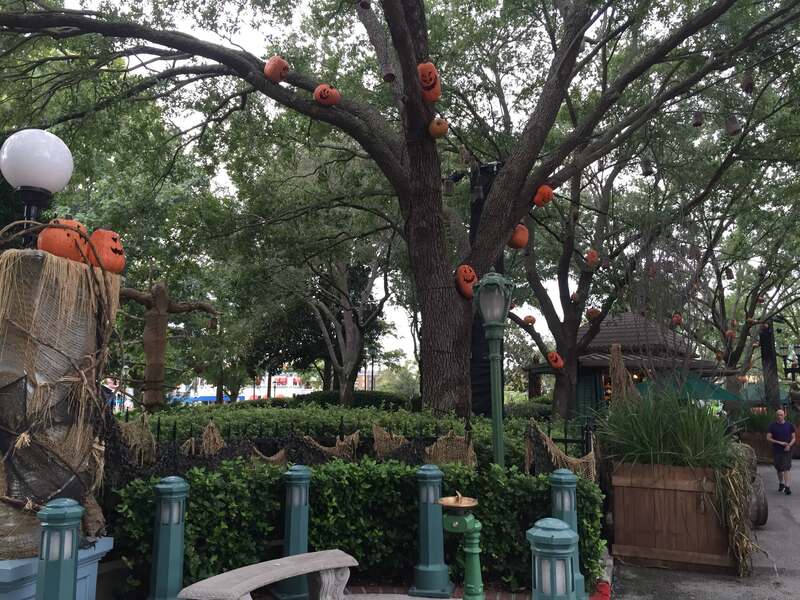 If you want to try a Pumpkin Juice at Universal Studios we highly recommend you use GET AWAY TODAY, they always have the best deals on Places to Stay and Tickets. 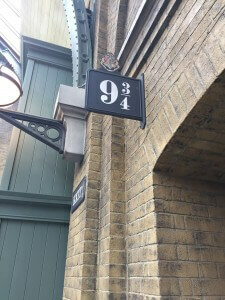 I thought it would be fun to share some pictures from our trip for all you Harry Potter lovers out there. 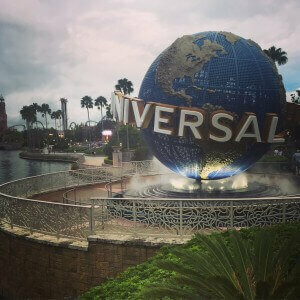 We had such a fun day at Universal Studios. 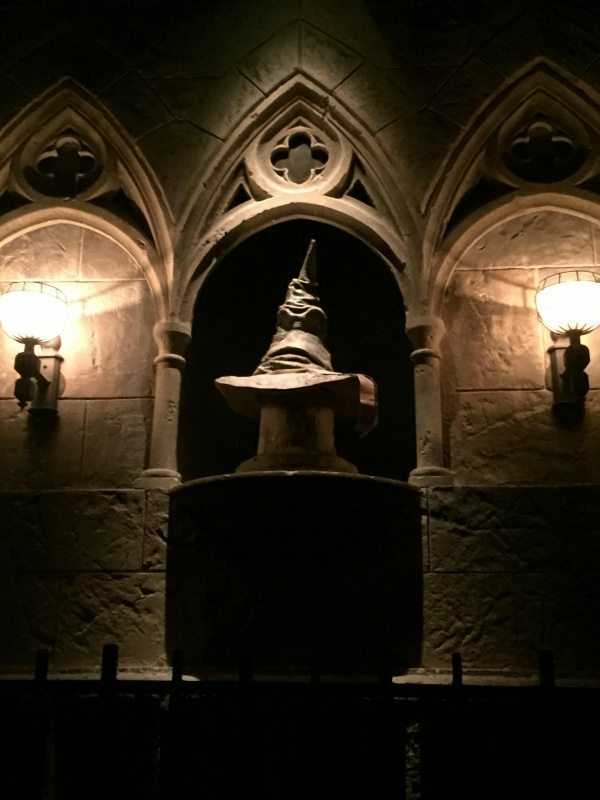 By far my favorite part was The Wizarding World of Harry Potter. I’m a huge fan of the books- you could find me at the midnight releases when a new book came out and then you wouldn’t see me again for a few days until I finished reading it. 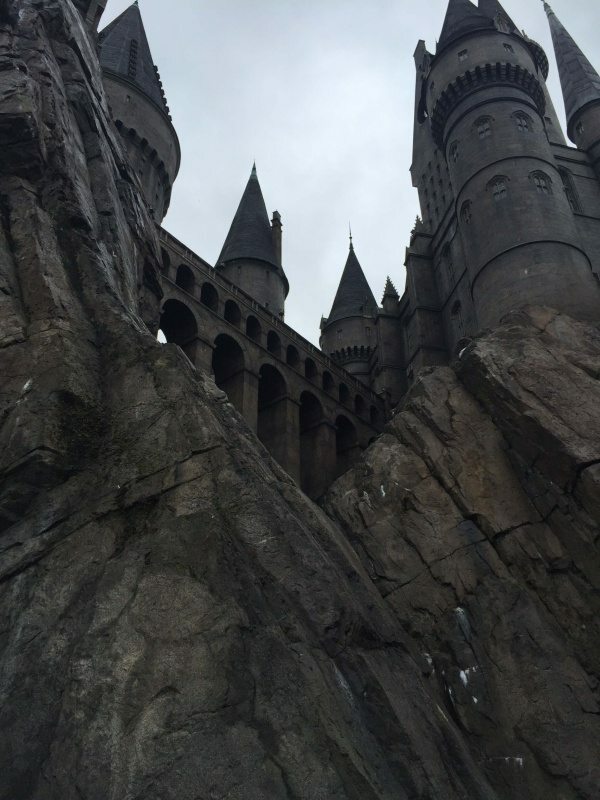 I loved the movies too, and being in Harry Potter World felt like walking right into the story. 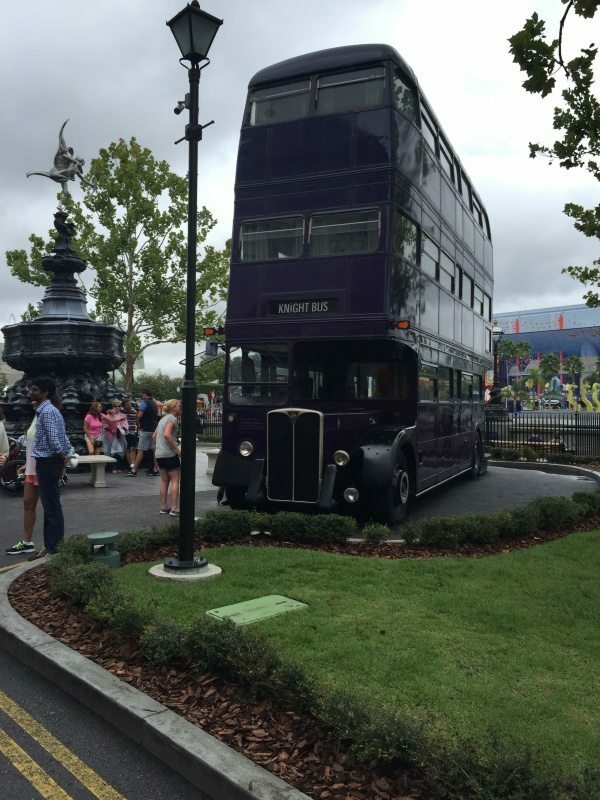 You absolutely HAVE TO GET the park-to-park passes if you go. 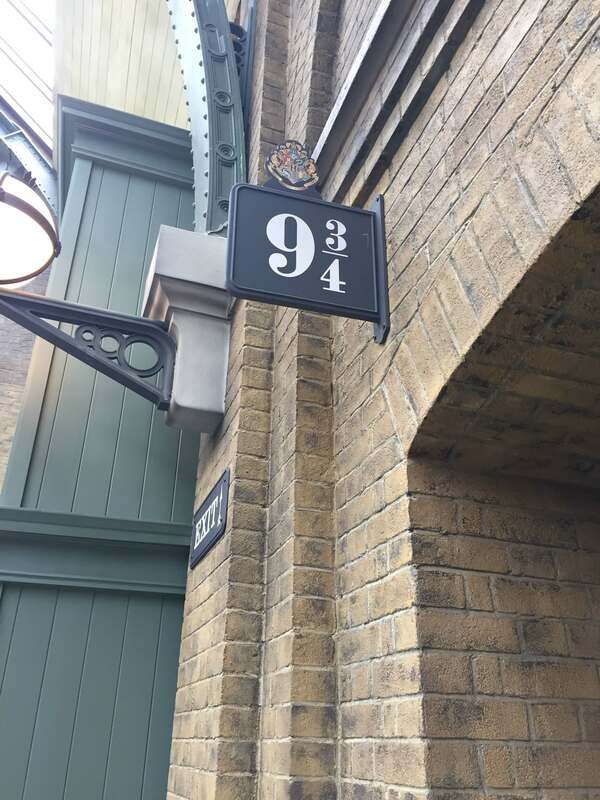 The Wizarding World of Harry Potter London/Diagon Alley are in one park and the Wizarding World of Harry Potter Hogwarts/Hogsmeade are in the other park. 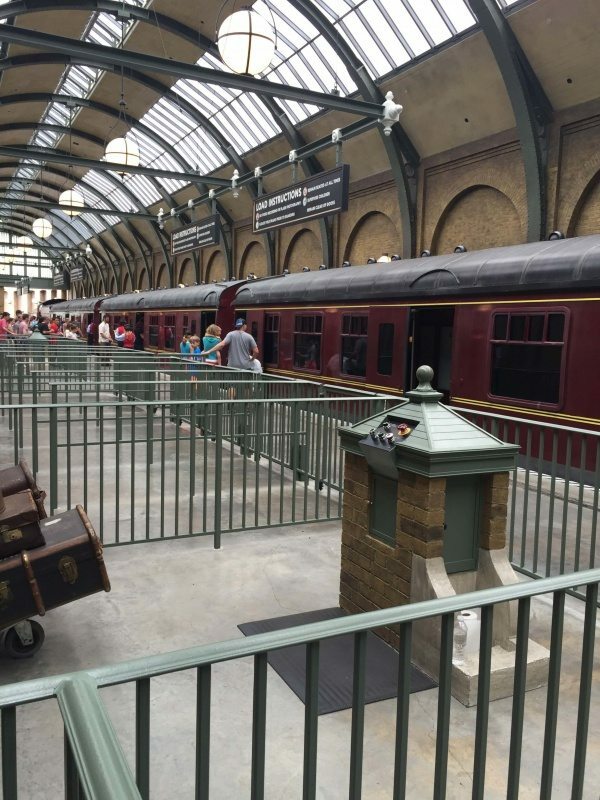 And you can ride the Hogwarts Express between the two places (it actually looks like you are traveling from London to Hogwarts) if you have the park hopper. 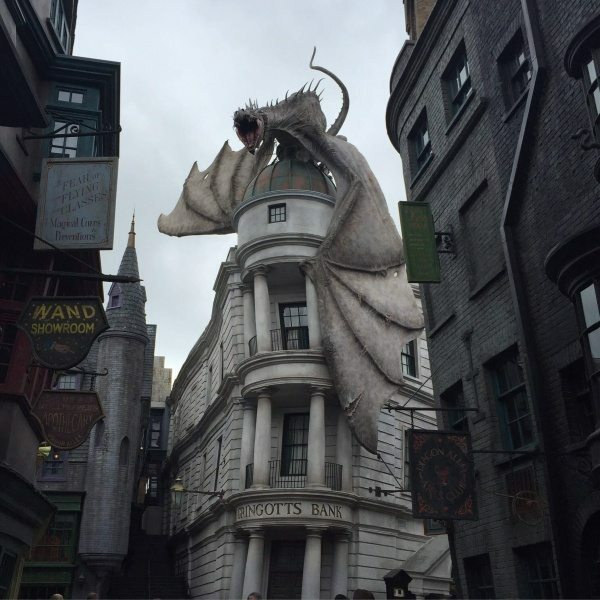 This is the front of the new Gringotts Bank Ride – so fun! 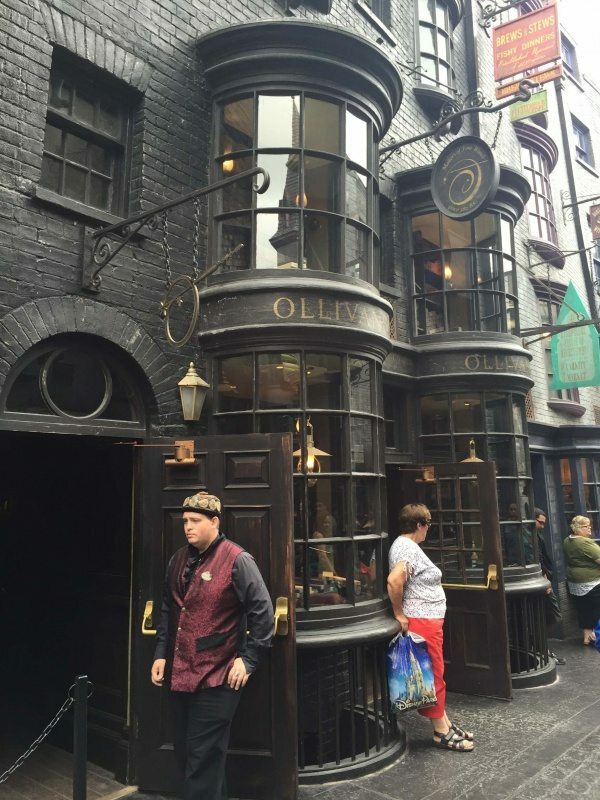 At Ollivanders you can really have a wand choose you! 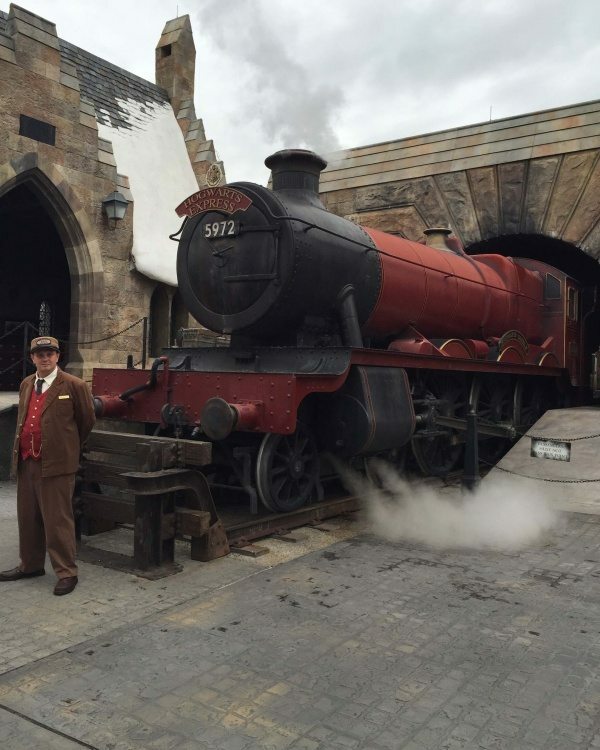 The Hogwarts Express Ride- it really looks like you are traveling to the school. 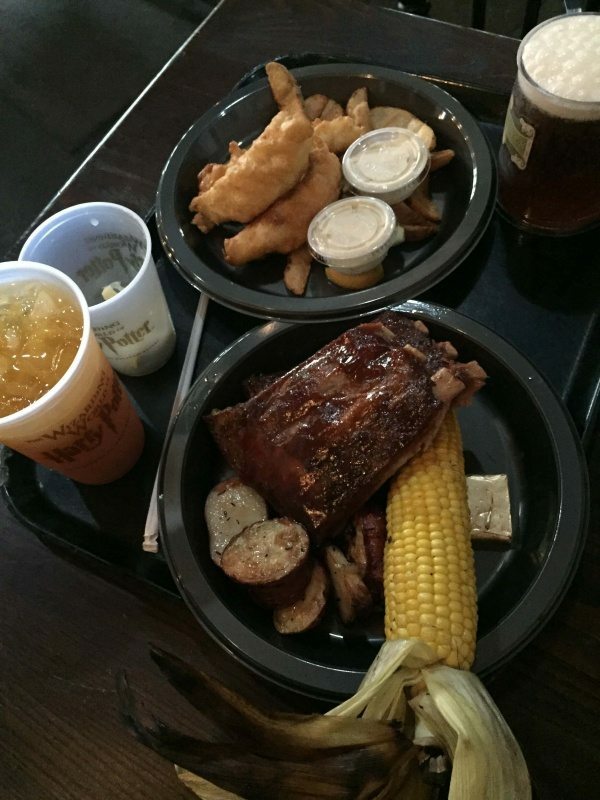 Our Lunch at the Three Broomsticks – Fish and Chips and Ribs, not to mention Butter Beer and of course Pumpkin Juice! Such a fun place to eat and the food was amazing! Some of my other favorite rides were the water rides Ripsaw Falls and Popeyes- which left us completely soaked! And the Revenge of the Mummy and Rip Ride Rockit were my favorite coasters. I am dying to go back and ride the new Kong ride and the Hulk, both were under construction when we visited. 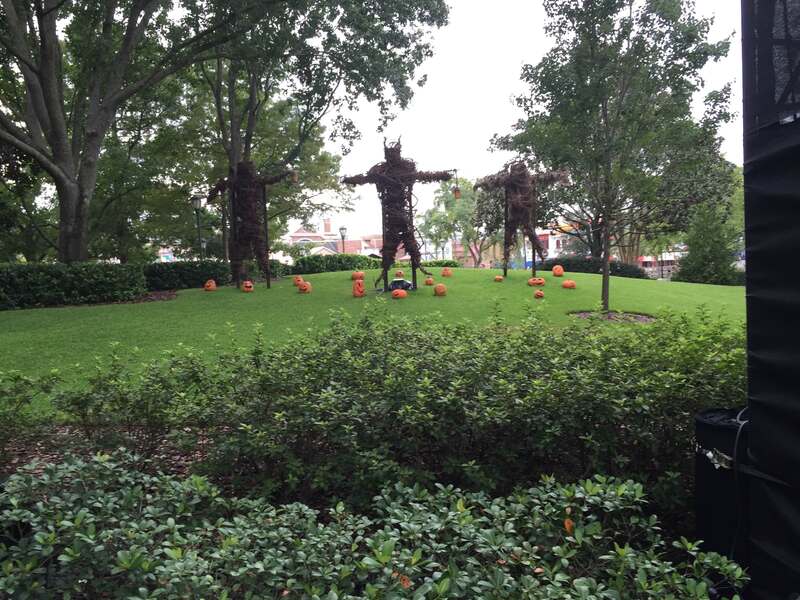 The parks were getting all set up for Halloween and had fun decorations- we missed it by a day but everyone was so excited about Halloween Horror Nights. We are going to have to come back to see what all the excitement is about! 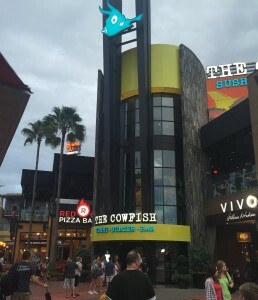 That night we had the most delicious dinner at The Cowfish. We love sushi and this place was top notch. My favorite appetizer was the truffle fries but my husband loved the blackened tuna nachos. 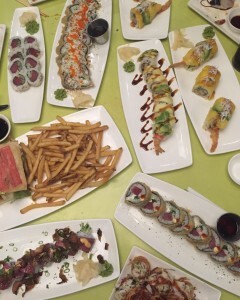 They surprised us with a chef’s 17 piece special that was amazing, and my favorite sushi was one with mango and coconut. The service was fantastic too, we all loved our server- she was so friendly and funny and very attentive. 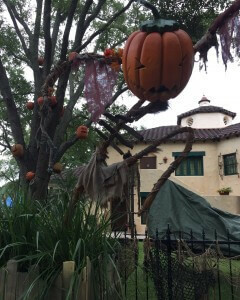 It was so good (you can see some of the pics below) I highly recommend making reservations if you are going to the park. It’s pretty popular so be sure to call in ahead. Check out all that sushi! 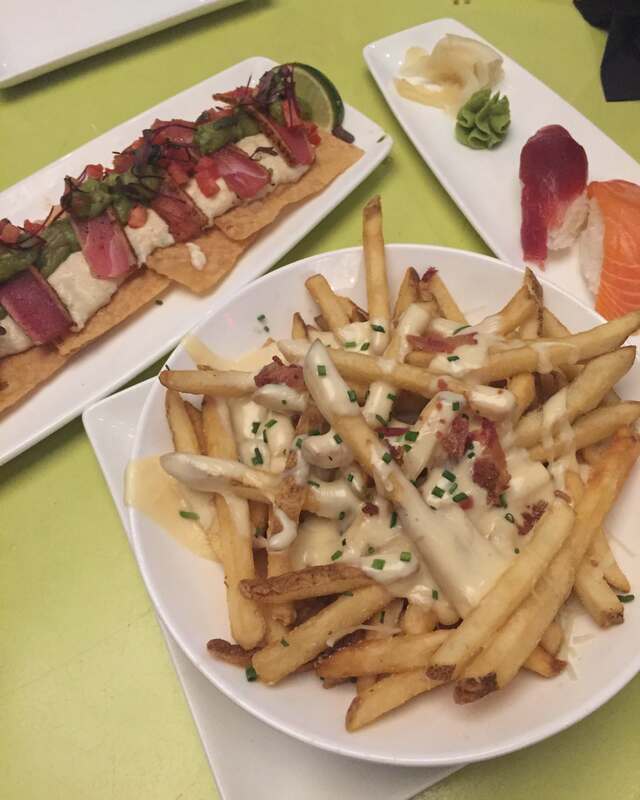 Some of the best truffle fries I have ever had. 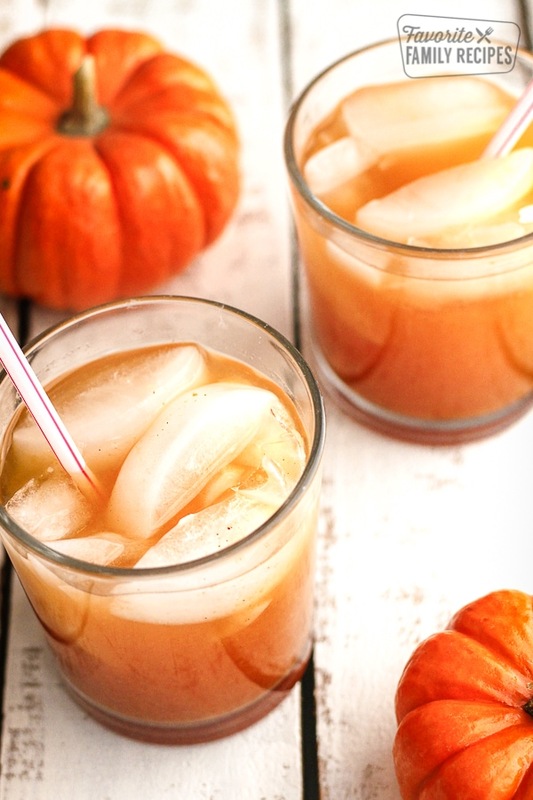 Last but definitely not least, here is our yummy cool refreshing pumpkin juice recipe. 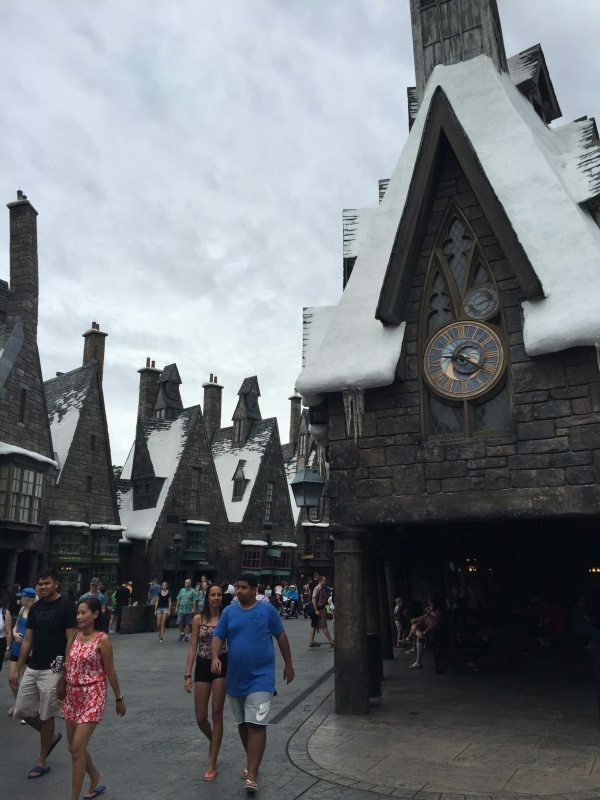 And don’t forget to check out our recipe for Harry Potter Butterbeer too! Our version of Harry Potter's Pumpkin Juice is the perfect drink for fall. It has a smooth pumpkin flavor with a little bit of spice and is super tasty! This recipe makes approximately 19 cups (8 ounces) of Pumpkin Juice. If you are using 8 ounce cups to serve, I would plan on 18 servings. If you are using a 12 ounce cup, plan on 12 servings. For a 16 ounce cup, plan on 9 servings. I hope this helps! We loved this! I scaled the recipe down to make just two servings. If anyone is interested, here are the proportions I used: 2 cups apple cider, 2 oz. pumpkin puree, 1 tablespoon sugar, 1/4 tsp. pumpkin pie extract, and 1/4 tsp. vanilla. I mixed the juice in a blender, and it worked great. I have never seen apple cider sold by the liter, at least not in my area, so for anyone else who might be wondering, 4 liters is a gallon. not trying to be a smarty, I was just confused so I looked it up. Oh, and I will definitely be making this drink, it sounds awesome! Can this be made in advance? Does it taste the same the next day? Thanks for the delicious recipe! My kids are already asking me to make more, lol. Ooh good to know! Had no idea about the apricot juice.. totally can see that being a part of it! Thanks for the tip! Do you use apricot instead of apple. Or do you ad with the apple juice and how much? 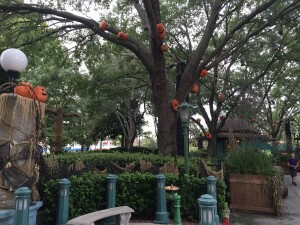 Can we do the apple cider bags? Does it have to be the apple juice? Yes, you can use apple cider bags. It should still taste similar! Okay all! I did the following and it tastes the same! It tastes exactly like what I had at HP World in Universal Studios Hollywood! 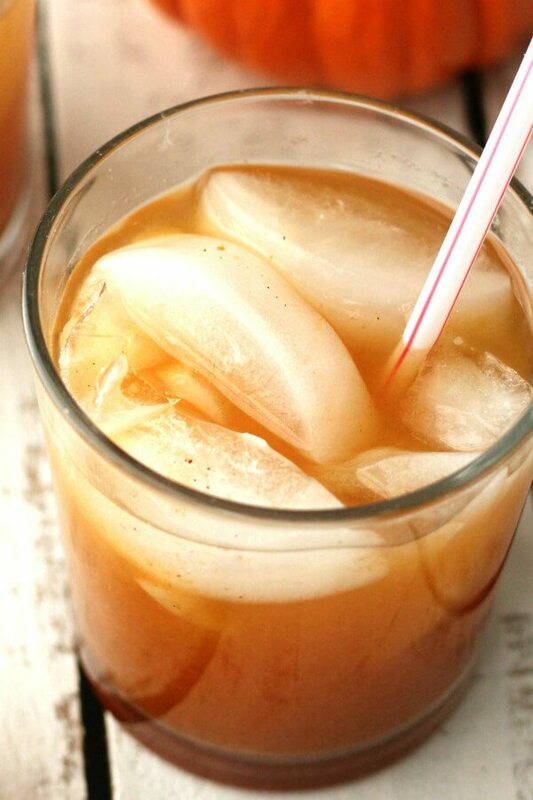 You guys can add more packets of apple cider or more sugar cubes for even more flavor but I love his and I can’t wait to make it for my next party! Thanks for the suggestions! Definitely a great summertime drink when it is freakishly hot outside! What do you do if you only have 1.53 L of Apple juice? Like what’s the measurement of Pumpkin then? If I were you, I would do 4-5oz of pumpkin. Hope this helps! For the pumpkin purée, is it 115 oz by weight or by volume? Most cans of pumpkin puree you buy at the store are 15 oz, which is to say the can weighs 15 oz. It is about 1 & 3/4 cup of pumpkin puree. Hope this helps!